One of the best things about travelling is that you have the opportunity to discover local traditions and cultural aspects of the countries you visit. Food plays and important part in understanding various cultural influences in a country, or even in a region. Those of you who like to discover local restaurant and indulge in traditional dishes wherever you go, will have a nice surprise learning that Romania is very popular among foreign tourists for its food (among other things, of course). 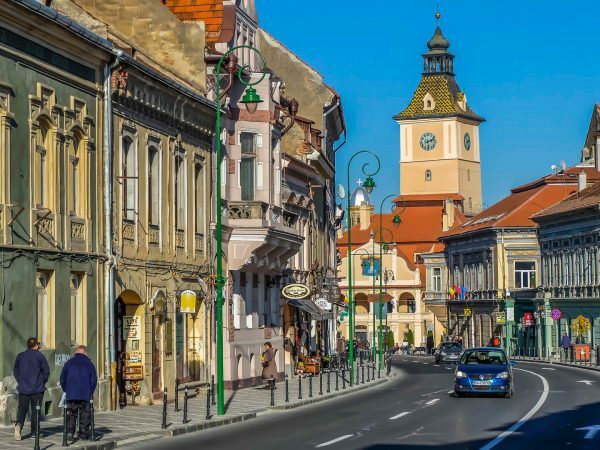 The jury of the International Institute for Gastronomy, Culture, Arts and Tourism has appointed Sibiu as European Region of Gastronomy in 2019. 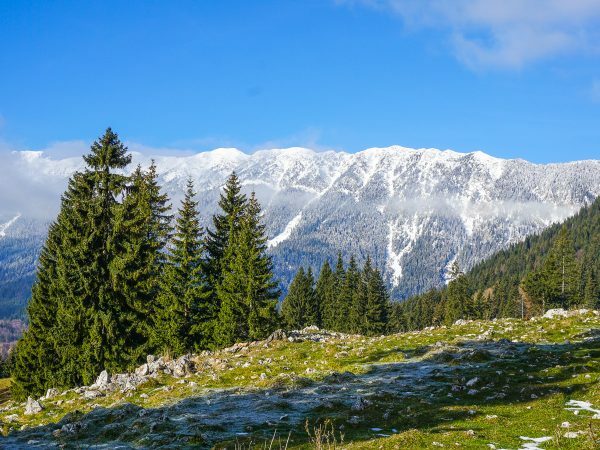 This title will be split between Sibiu and the South Aegean region in Greece. The Sibiu region hosts more than 30 festivals of gastronomical culture each year. 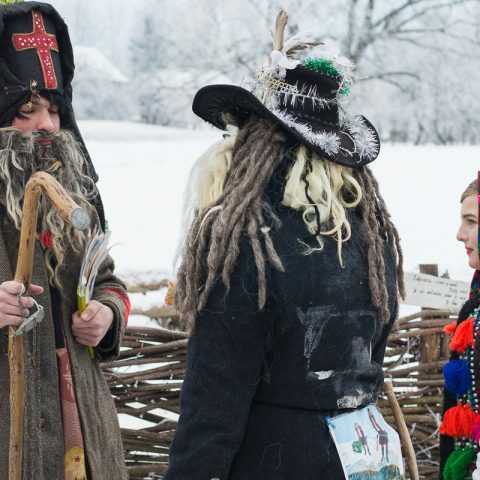 Among these events, arranged in chronological order of organization, there are included the Lola Run (Fuga Lolelor) in Agnita (for the donuts that are offered on the street), the Cultural Days of the county, the Mountain Peony Festival in Gura Raului , Up On Jina Mountain Festival or the Christmas fairs in Sibiu and Medias. In the Sibiu region, there are currently 88 ecologically certified producers, 175 restaurants and 3 traditional certified producers. 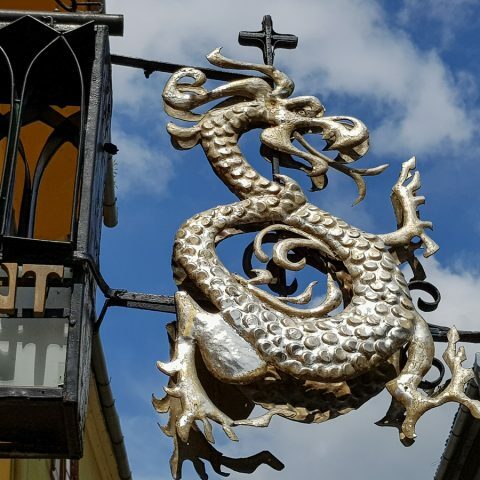 Although many events are scheduled for 2019, it doesn’t mean that you don’t have the opportunity to go to several gastronomical festivals, country fairs and other cultural events that are already being organized yearly in Sibiu and its surroundings. 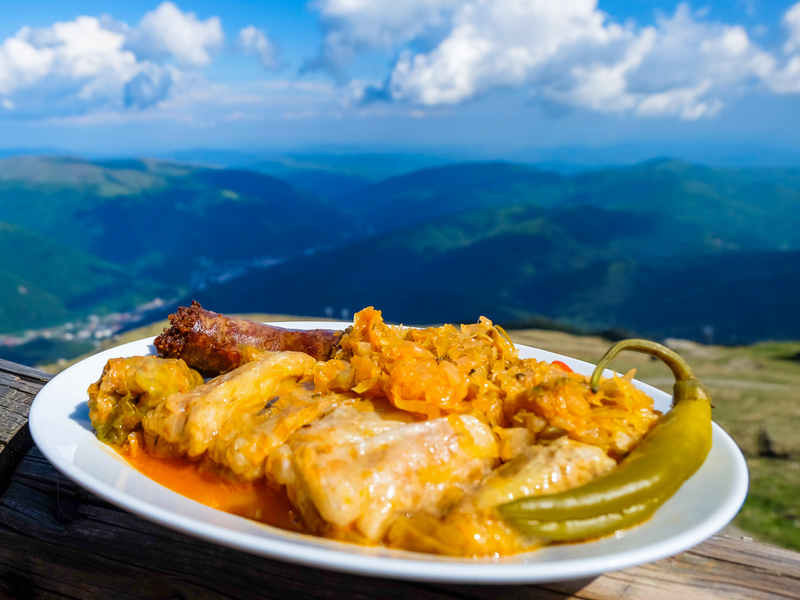 Each Romanian region has its own cuisine, which represents an interesting mix of other cultural influences, such as German, Hungarian, Turkish or Serbian. This is why you shouldn’t be surprised if some dishes, such as soups vary in terms of preparation and ingredients from one region to another. This soup is famous in the Bucovina region. Although many try to replicate it, the best soup is the one made in the northern part, especially near Suceava. It’s basically a chicken soup with eggs, sour cream, garlic and greens. 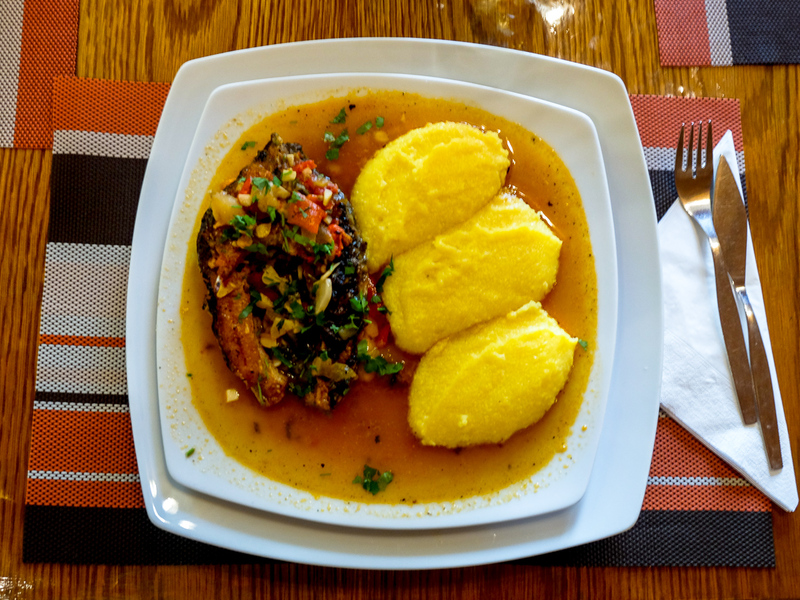 Polenta is a traditional dish that is served in all Romania regions. Some like it with cheese, especially if the polenta is rolled in a ball with cheese inside and then roasted in the oven (“bulz”). Others serve it as a side dish, especially accompanied with a sauce. In the past, bread was not that popular and people used to eat polenta instead of bread. Cabbage rolls are not necessarily a “traditional” Romanian dish, but it’s something that Romanians enjoy, weather it’s a special occasion such as holiday, or just a meal among friends. You can find cabbage rolls in the menus of most Romanian cuisine restaurants, or if locals invite you to an event, you most likely will be served with this dish. Although you won’t find cheese delicacies like in southern France, for example, you will have the opportunity to taste homemade cheese. In Maramures, people are loving the famous blue cheese, which they mix with polenta, while in the Sibiu region, you have plenty of cheese types to choose from. Why? Because several villages in this region still keep the shepherding tradition. Any respectable shepherd knows how to make cheese, but many local producers also sell their cheese at the market or at various fairs. 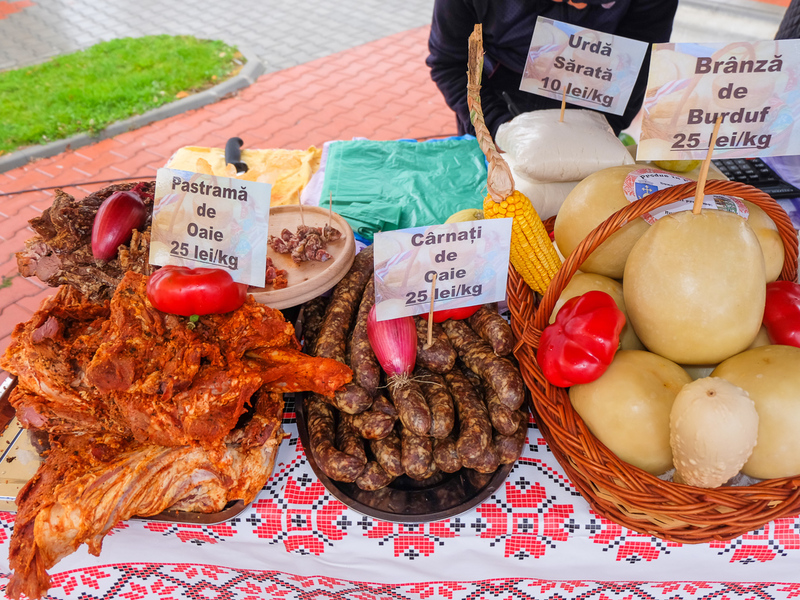 Pork meat is very popular in Romania, but you can also find several pork-based dishes such as sausages, blood sausages and other delicacies. One of them is smoked bacon. Romanian bacon is very different from what you see in stores. It’s one of the traditional dishes obtained by preparing pork fat taken from either the belly or the back of the animal, seasoned with garlic, paprika or pepper. Bean soup is an integral part of the Romanian cuisine. There are notable differences from area to area, it has more vegetables in the south, more flavorful dill in Moldova, it’s made with tarragon in other areas, thickened with flour in Transylvania or seasoned with sour cream, but essentially, the bean soup is considered a traditional Romanian dish. Dumplings (“papanasi”) are a kind of sweet dessert, made from cottage cheese, eggs, flour, meal, bread crumbs and sugar. Normally, they are served with cream and jelly or jam, but you can also find eat the sprinkled with powder sugar. 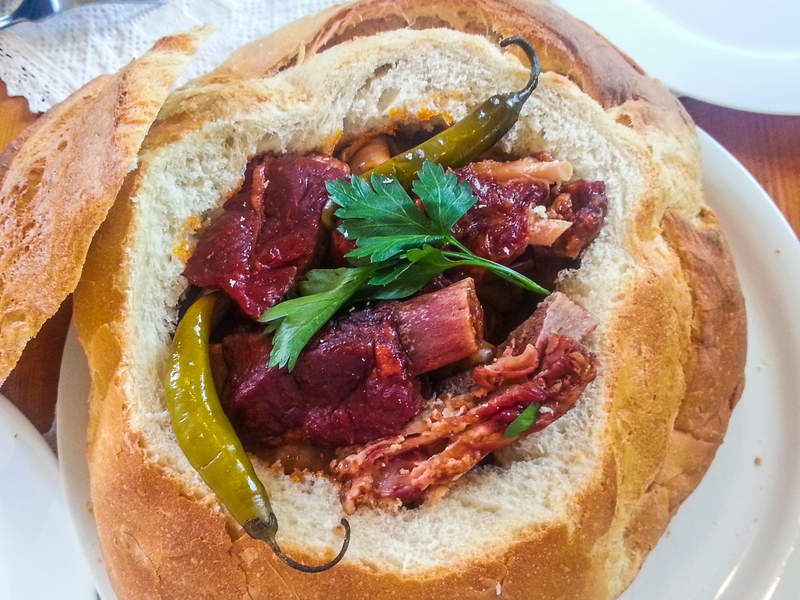 Other dishes that are also very popular in Romania are goulash, grilled minced meat rolls (“mititei” or “mici”) or Boeuf salad, but these dishes are “borrowed” from other nations. If you want to start you gastronomical journey in Romania, you can always combine good food with fun activities. 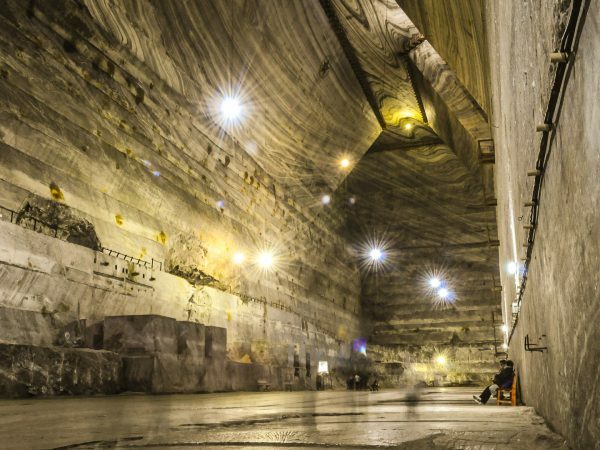 Take a look at our tours in Romania and book your next trip! 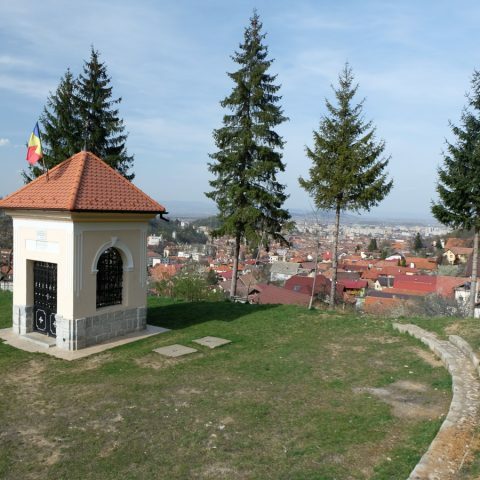 Real Dracula Tour takes you to Transylvania castles and fortresses, introducing you to the mysteries and legends about the real Dracula character.